Congratulations Alex!! Best poster award at RECOB17 ! 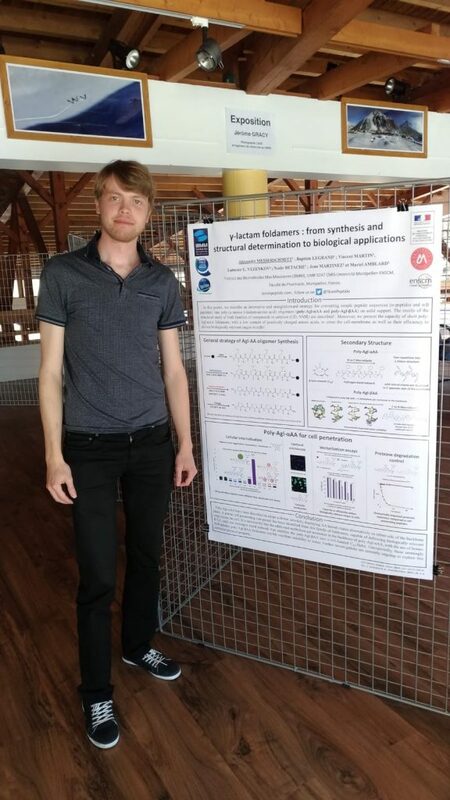 During the 17th edition of the organic chemistry and biology meetings congress (RECOB17), Alexandre Messerschmitt recieved the best poster award (odd session), for his work on the synthesis of lactam containing foldamers and their use as intracellular vectors.